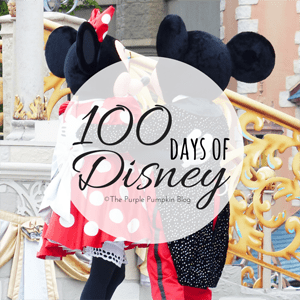 It’s been over a month since I’ve written anything about Walt Disney World – seems cruising around Scandinavia and Iceland proved to be a distraction for me, who knew?! 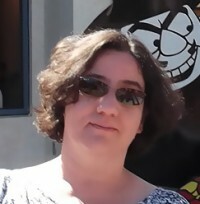 WDW is never far from my mind though, and I figured now would be a great time to take a look at a restaurant in Epcot. Mostly because I always find it fun to drool over food. 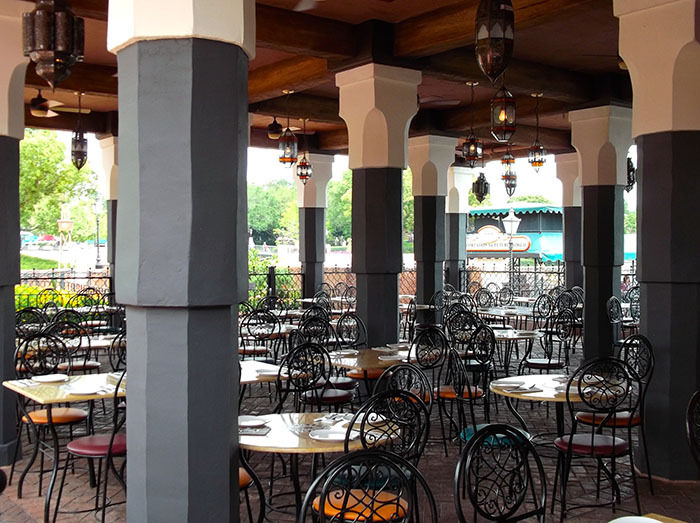 One of a handful of slightly smaller niche restaurants to spring up in recent years on the World Showcase (such as La Cava del Tequila), Spice Road Table bucks the traditional theme park food trend, instead serving ‘Mediterranean Small Plates’. The restaurant had been on my radar since opening in early 2014 so I was happy to grab an impromptu lunch last year. Temperatures were comfortable so we could also enjoy the outside seating, something not always possible on a humid Florida day. Offering tapas dining and a decent selection of wine (including a wine flight) you can pick and choose from a variety of small dishes, most of which you can mix and share between everyone at the table. This makes it a great choice if there are a several people in your party because you can just order, well, everything! Alas, there was just 2 of us dining so “Bring it all” wasn’t quite so practical (bah!). 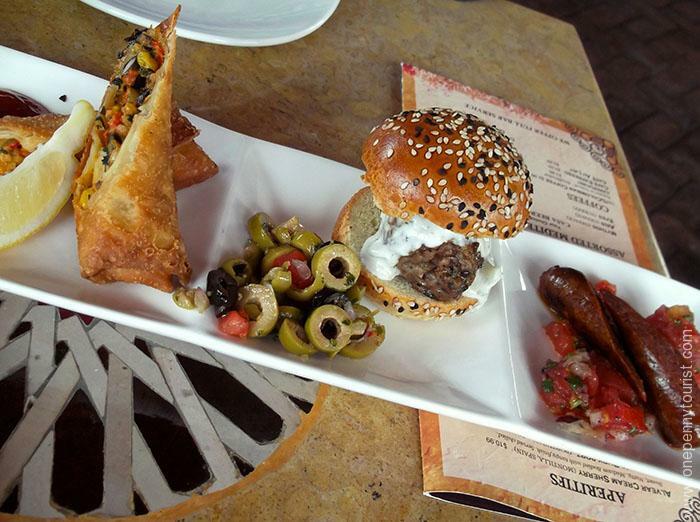 We opted for the Mix Grill Skewers plus the Tingis Sampler below. 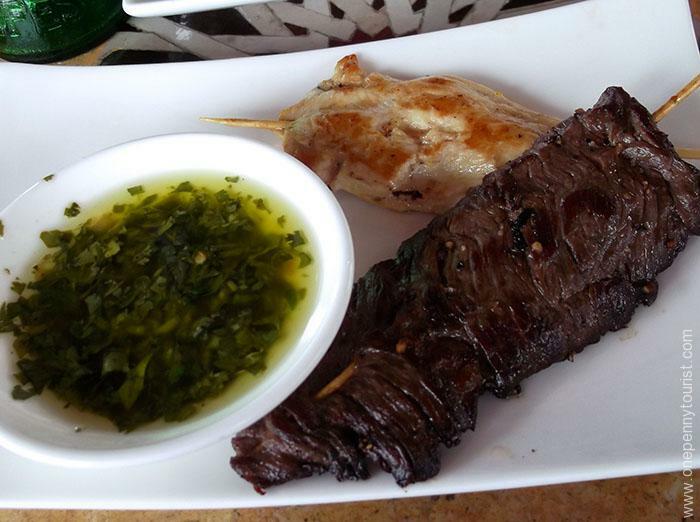 While we enjoyed the chicken and beef skewers we both also felt they were a little mundane – I know I’d expected more seasoning. I suspect these items are the ‘safe dish’ for people who aren’t adventurous eaters. The sampler though. Oh. My. God. YUM. 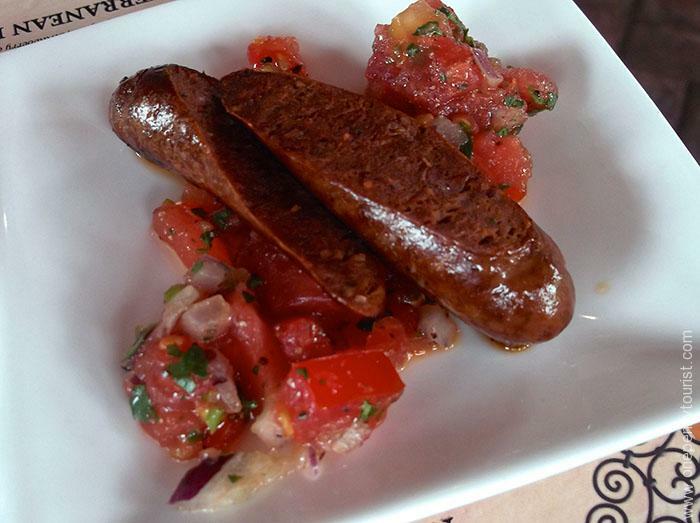 The Moroccan Lamb Sausage with a tomato and onion salad. 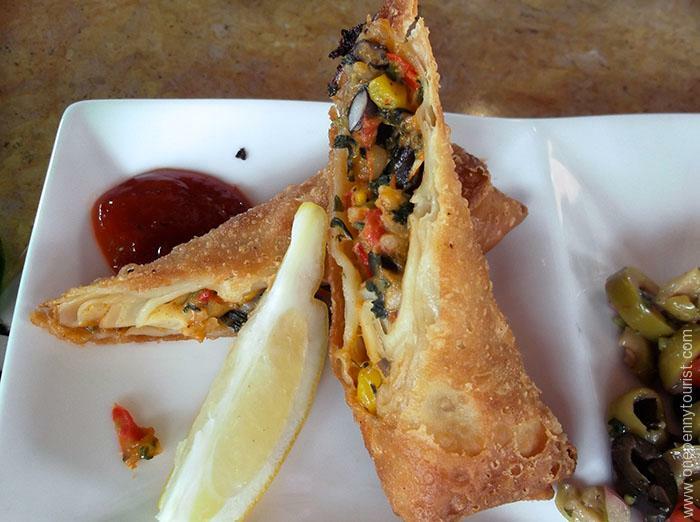 Mmm, the Harissa Chicken Roll with spicy ketchup – this one was my favourite. 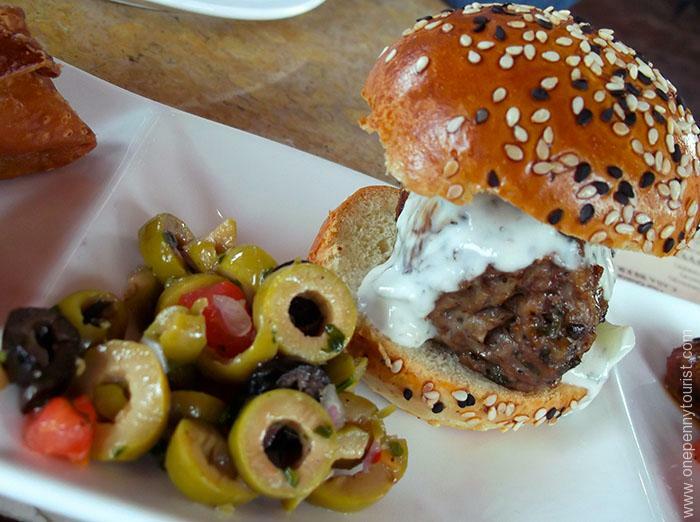 Lamb Slider with Cucumber, Dill and Mint Tzatziki sauce. Messy one to split though. The trio was so tasty we ordered another and demolished that too, haha. I do recommend the Samplers (they offer a fish sampler too) for a couple of reasons. 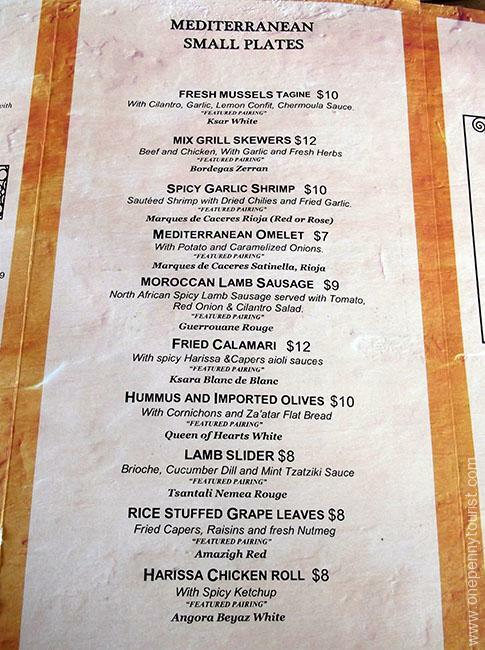 Not only is it a great way to try a few items, but it’s also the best value item on the menu. Our three items bought individually would have been $25 vs the $16 sampler price. Which does bring me neatly on to the only down side (for me) to Spice Road Table. It seems that interesting & flavourful food in a theme park comes at a price, especially as they don’t currently accept my trusty Tables in Wonderland card for a 20% discount. The skewers, two samplers, a soft drink and bloke had a couple of Moroccan beers + tax + tip came to roughly $70/£45/€60. Perhaps not so bad for a big lunch, but tapas by nature is small plate ‘grazing’ food and so was what I would deem only a light lunch. Would I go back? Despite the price, yes – though I’d probably stick to the better value Samplers which were also more flavourful options than the skewers we tried. That said, some of the other items do have the potential to be more exciting. They also offer an expanded menu for Dinner which might appeal more too. We thought Spice Road Table was a wonderful little restaurant serving what I’d describe as moderately adventurous food. Many dishes were noticeably seasoned with typical Moroccan spices such as Cinnamon, Nutmeg and Star Anise. Plus, it is also in a pleasant location. The Terrace allowed us to relax and people watch and being beside the World Showcase Lagoon makes it a great place to view Illuminations (Epcot’s night time laser and firework show). 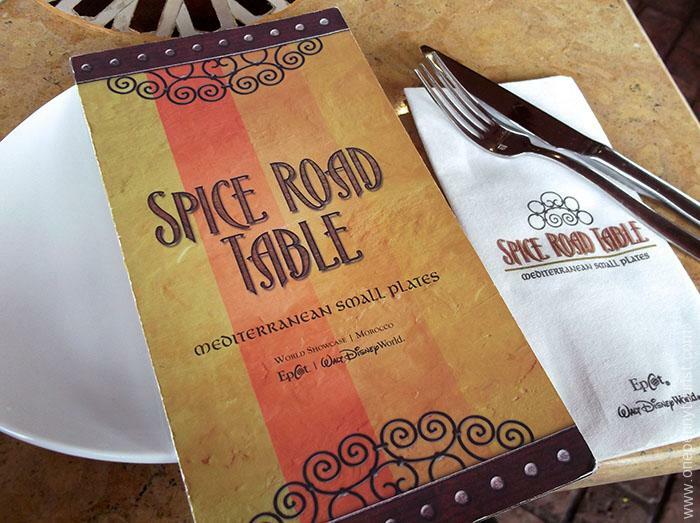 Alas, as Spice Road Table doesn’t accept the Tables In Wonderland card it falls into the ‘treat’ price bracket rather than a ‘visit every trip’ restaurant for us. 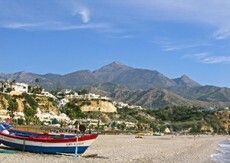 We will be returning one day though and I’m definitely looking forward to it when we do.